It’s hard to miss Clint Capela, with his shock of bleached hair and size 17 Nikes, as he fields alley-oops from Chris Paul and James Harden. The 24-year-old, six-foot-ten starting center for the Houston Rockets, who just signed a five-year, $90 million contract extension with the team, has one of the best field goal percentages in the NBA. And he’s even getting better all the time under his coach and mentor, Hakeem “The Dream” Olajuwon. But there’s reason to keep tabs on Capela off the court, too. In December he launched the CC15 Foundation, a Houston-based nonprofit with a mission of assisting low-income single parents and foster children. It’s a cause that hits close to home for Capela, who grew up with a single mom—and also in foster care—in Switzerland. 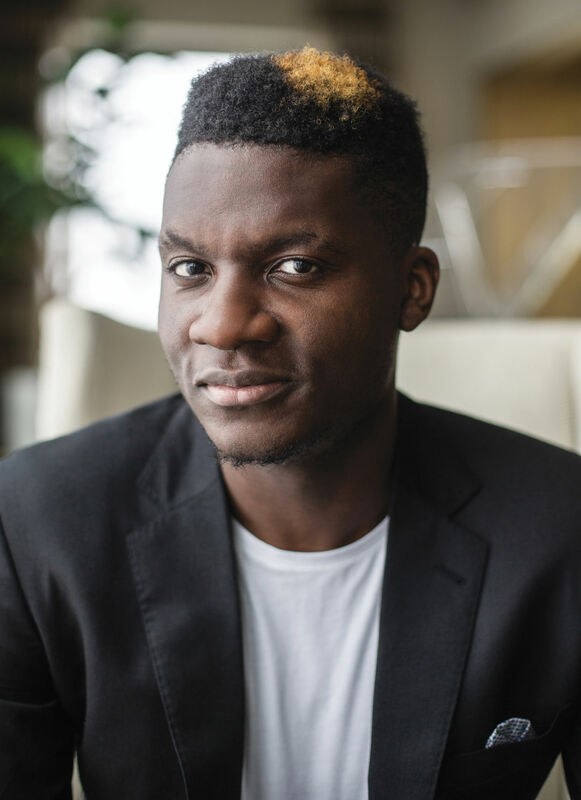 In 2000, when Capela was 6, his mother, a Congolese immigrant with no other family in Geneva, found herself struggling. Despite waking before dawn to work the line at multiple factories, she couldn’t afford day care for her three sons, who shared a room in the family’s government-assisted apartment. She could barely afford the rent. On the verge of being homeless and wanting to help her children, she turned to a government program. “There was nothing pleasant about it,” Capela tells us, remembering the day his mother brought him and his older brother Landry, 10, to Pierre Grise, a school and group home just outside the city. Tears streamed down her face as she left her boys there with their scant possessions, a photograph of herself among them. Each weekend the brothers returned home to stay with their mom and older sibling Fabrice, 16. They had no money to do anything, so they watched TV—Walker, Texas Ranger, dubbed in French, was a favorite—and ate up their mother’s cooking. I want to give these kids what they need, explain to them that they can overcome this hurdle and make an impact. Years passed. Landry was kicked out for bad behavior, and Capela moved to another school and started playing soccer, which gained him respect. Soon he was a literal giant on the field, and his coaches couldn’t find cleats in size 13. It was 2007, and Landry, six-foot-four and already playing pick-up games in the park, convinced 13-year-old Capela to learn basketball, too. Capela soon outgrew his brother. He didn’t stop until he was six-ten. “It’s a gift from God,” he says today. Capela won a spot on the Swiss basketball team at the European Junior Championships, and then, at 15, moved to France to train with the prestigious National Institute of Sport. At 17 he went pro, playing for French team Élan Chalon, and at 19 he became the number 25 overall draft pick for the NBA. Adjusting to life in the NBA was difficult—Capela spent his rookie year in development, mostly benched. But with each passing season, he’s improved dramatically. And as he’s grown as a player, he’s also grown as a Houstonian—“people here are all so generous,” he says. 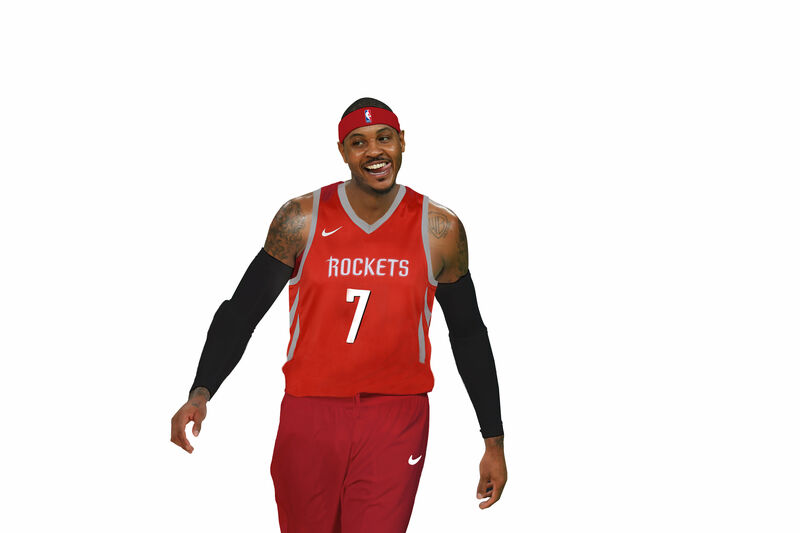 He began to participate in the Rockets’ philanthropic initiatives, and found himself inspired to launch his own effort. He’s betting others will do the same. 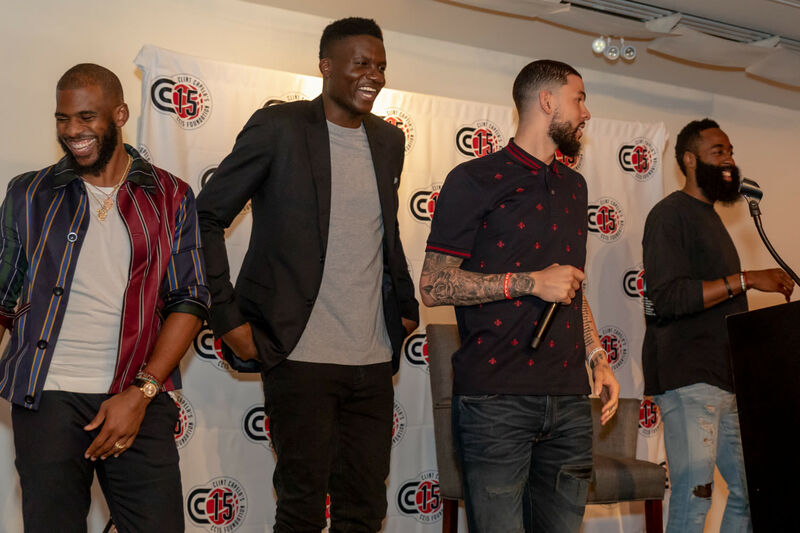 With help from management company Prolanthropy and sponsors including Reliant Energy, the foundation has set the goal of raising $350,000 in its first year, in addition to Capela’s initial seed money. The plan is to provide back-to-school supplies, Thanksgiving dinners, Christmas gifts, and special experiences at Rockets or Texans games while working with local nonprofit partners, including DePelchin and Casa de Esperanza, to identify single parents at risk of losing their children. An intervention program will provide mentorship for those parents while helping them apply for food stamps, file tax returns, and find educational opportunities. In addition, children transitioning into foster care will receive special care packages of new belongings to help ease the pain of leaving home. “I understand what it feels like,” Capela says. This summer Capela will return to Geneva for a few weeks, as he does every year. He’ll sleep in his old bed, gobble up Swiss chocolate, and catch up on Arsenal games and Shameless. He’ll visit Fabrice, now a father of two soccer standouts; Landry, who manages a basketball-training camp; and his mother, who will cook his favorite dishes for him. And yes, if you’re wondering, she’s still his number one everything.